Say that title five times fast LOL! Ok enough silliness, recently I started experimenting with the Marley Braid hair. The brand I picked up was called Femi (see picture below). Who knew I could create awesomeness with a $5 pack of hair. I had been doing winter research on natural hair and the main point many brought up was the protection of the ends especially during the harsh winter months. So what’s great for hiding your ends….BUNS! Here are two bun styles that I will be rotating along with a few others. 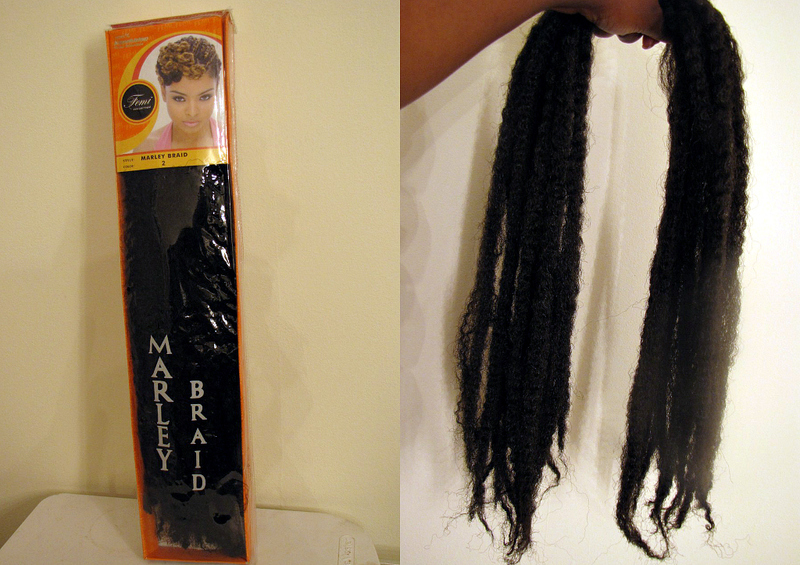 2nd- I take the marley hair and attach it using another ouchless hair band. I only use between 1/4-1/2 of the hair in the pack (the more hair you use the bigger the bun). 3rd- I loosely wrap and pin the marley hair around being sure to cover my own hair and VIOLA! 1st- I parted a front section of my hair for the flat twist and clipped it out of the way. 2nd- I pulled my hair back into a ponytail (ends not tucked under) and attach the marley hair like in the first bun. 3rd- I split my ponytail equally and twist it into the marley hair and do the same to the other side. You should have two long loose twists. 5th- Do a flat twist in that front section you parted (with or without added hair) and pin it back towards your bun and your done. These styles last me about 5-6 days as long as I tye it down at night. They are perfect because this is generally around the time I need to wash my hair again. What’s your favorite Winter Weave Wonderland Wear? Fabulous! Absolutely love this! Thank you for sharing your fantastic hair ideas! Cool! Thank you for sharing! !